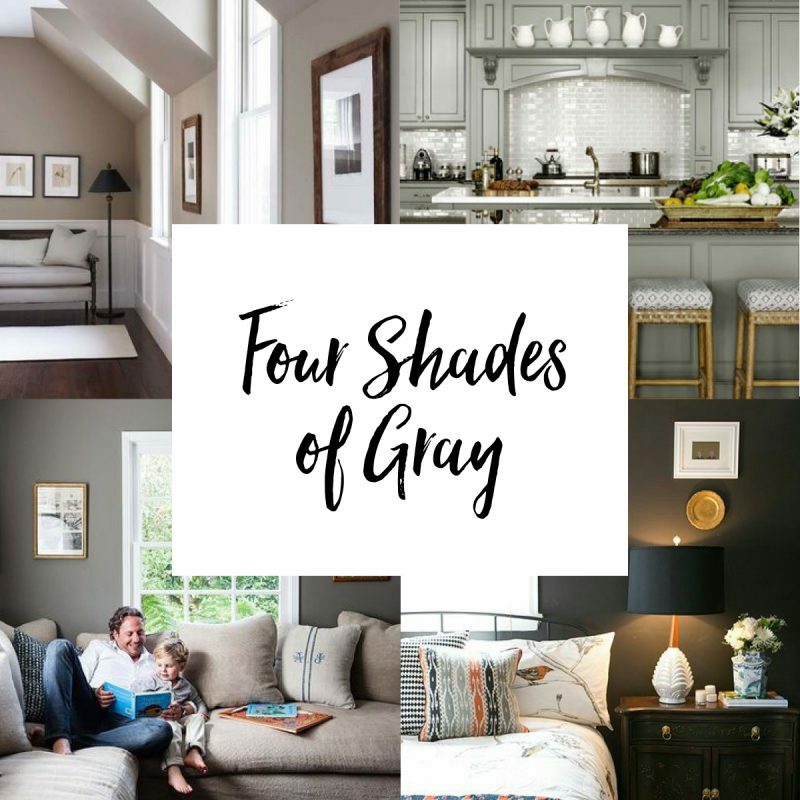 Gray has become quite the trend, and it’s safe to say it’s here to stay. It’s the perfect complement to white trims or wood trims, interior walls or exterior, walls in the bedroom, the bathroom, the dining room, the kitchen… even kitchen cabinets are getting a gloss over of gray. Which means, at this point, there are more gray paint chips at Home Depot than hammers. The options are endless. To help you narrow it down a bit, here are few of my favorite grays. If you’re just dipping your toes into the gray trend, this is a perfect place to start. 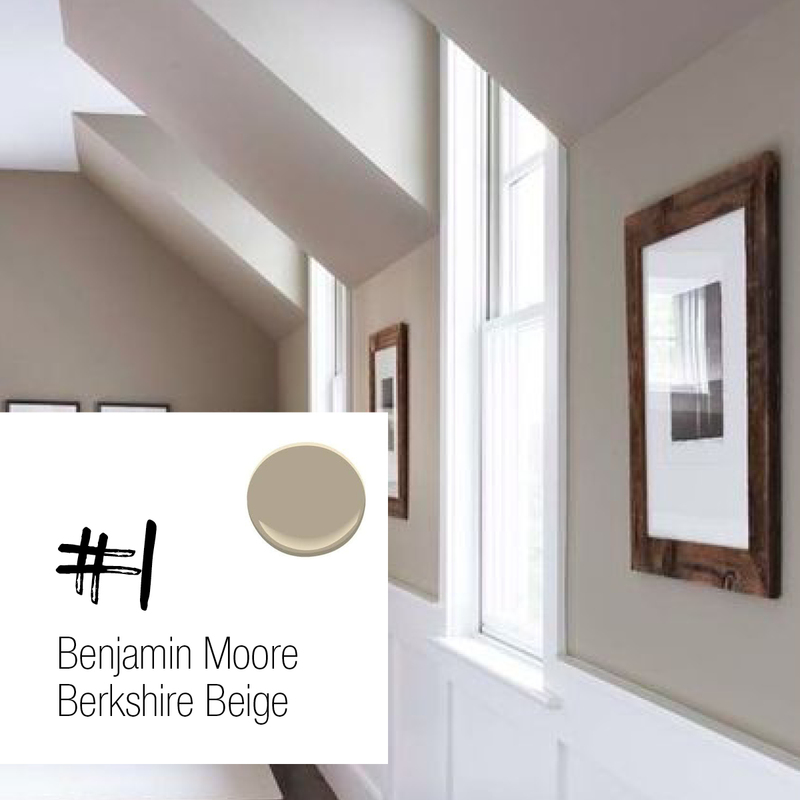 This soft neutral hue is a warm beige with taupe and gray undertones. It’s lovely in any size room and pairs perfectly with a warm honey or dark hardwood floor. 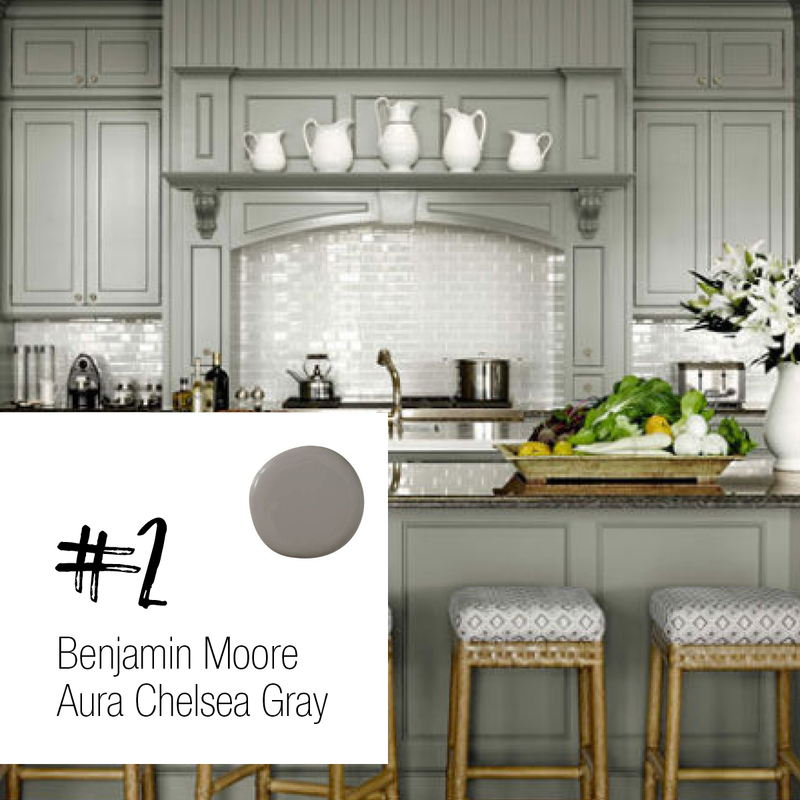 Benjamin Moore’s Chelsea Gray is the perfect shade of green-based gray. Green-bases can make for a warm and smooth look. In the case of Chelsea Gray on these cabinets, they almost look like they have a velvet finish. I just love that. 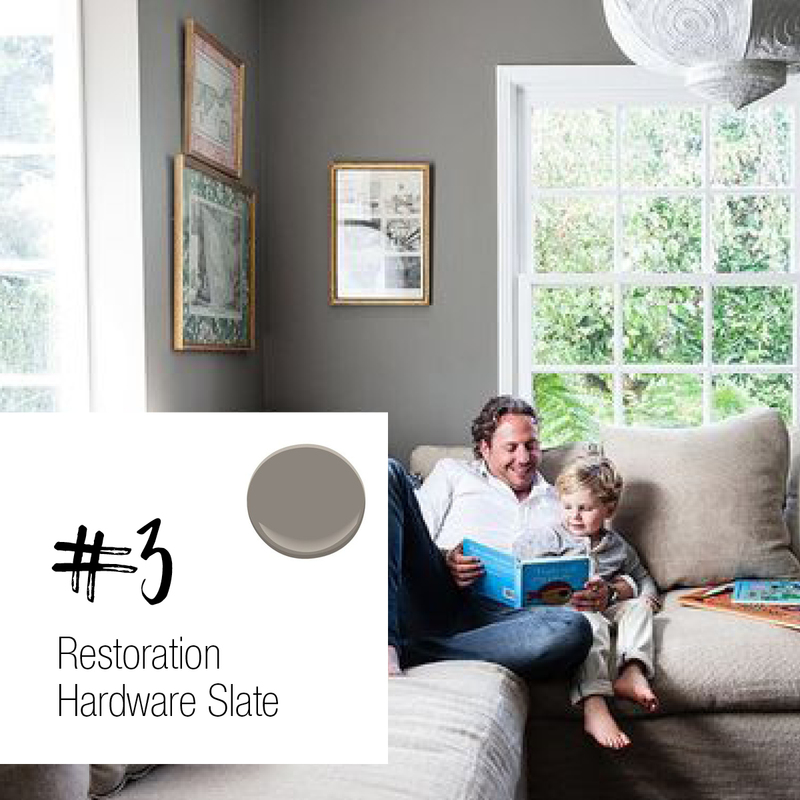 Restoration Hardware’s Slate paint takes Berkshire Beige to the next level. It holds onto the versatility of taupe, but adds a bit more depth to any space. Another classic shade for any room. Go bold of go home, right? Something like that. This matte, satin shade stems from a rich blue-base gray. In certain lights it can appear as a deep charcoal, but a few hours later it could transform into a dramatic blue gray. 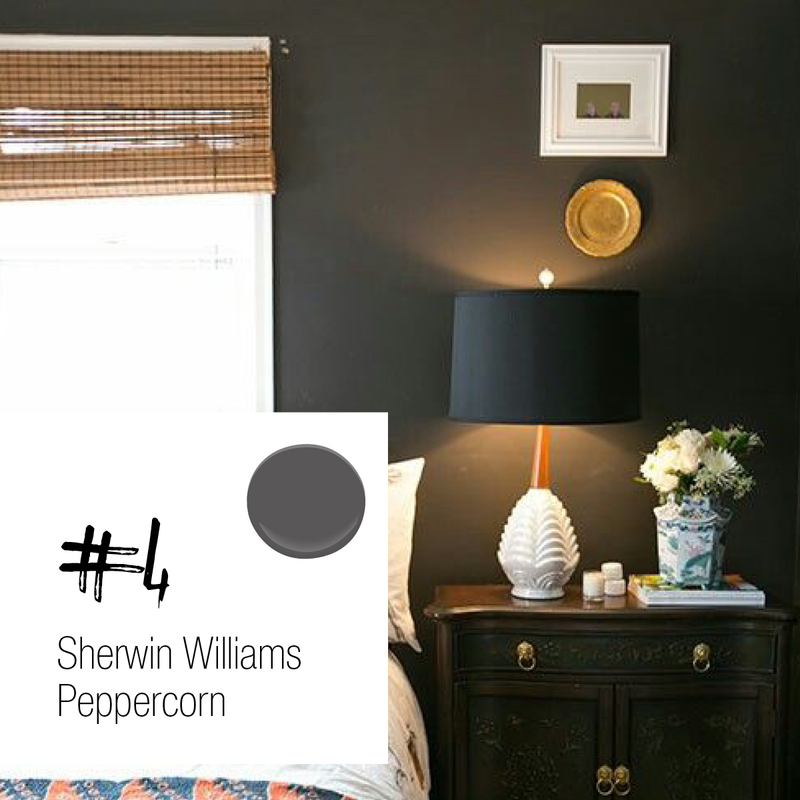 Creamy whites, oranges and brighter blues look spectacular with Peppercorn as the backdrop.